This entry was posted on August 18, 2012 by Cher. It was filed under D90, Weekly Photo Challenge and was tagged with arts, authentic, Beauty, Butterflies, collage, D90, delicate, Florida, flower, flower bush, green, Humble, lakeland fl, mother nature, outdoors, photography, poster board, some of my favorite pictures, Weekly Photo Challenge. Nice collage. Thanks for the pingback. Collages are so much fun, and so colorful. Love yours! Thanks too for the pingback! I love it and we are one! 🙂 TY for the pingback. Thanks so much and you’re welcome! 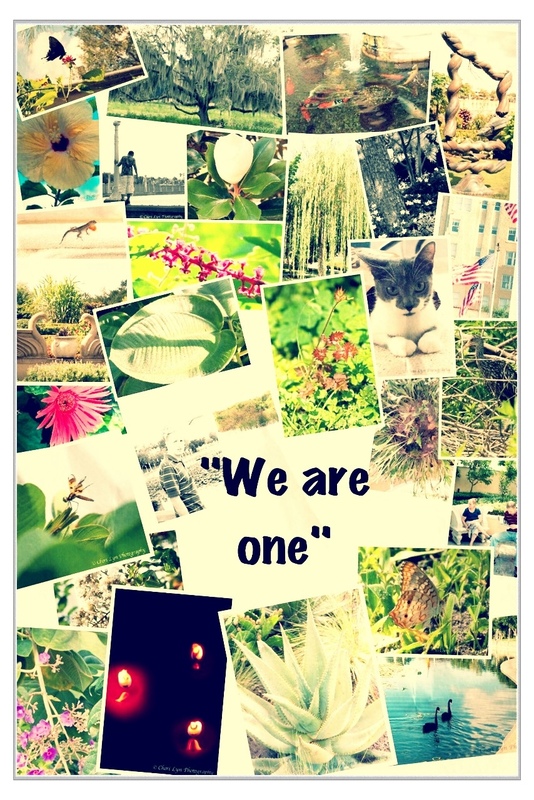 What a cool collage — and love the “We are One”…agree! I like what you have done. Even though all the pics are of different things you merged them into one with color in common. Very nice! Thank you Gerry! I enjoyed creating this collage and give thanks for this weekly challenge bringing me back in time! Thanks so much for the ping back! Great Collage! I have always loved them too…good interpretation. Great idea to make a collage! Thanks for the pingback. Cool merge. Cute kitten :-). You’re welcome and thanks. Love kitties!! Thank you Marianne and you are very welcome! You have a great site!